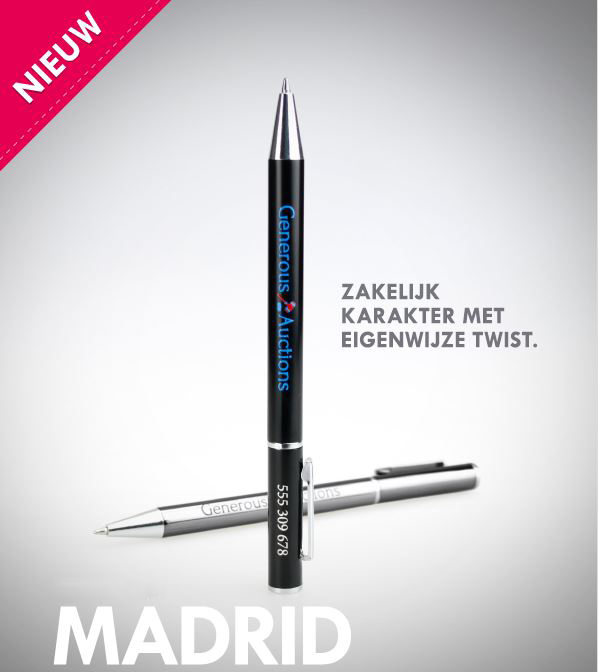 The successor of the Executive Pen is de Madrid. Available in attractive colours and stylish black shiny metal. The commercial nature of this pen gets a cheeky twist by the small shaped clip. 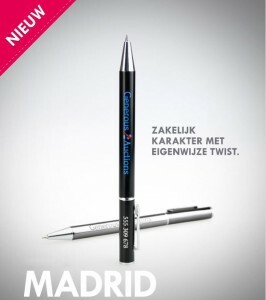 The Madrid pen can be personalized on multiple positions It is also possible to opt for individual personalization.